Sometimes you are a speed sewer and when you get your quilt all done you realize that it has a slight angle or slant to it. WHAO! what happened and how do we fix that?! You will need to block your quilt to get it back into ship shape and ready for the next step- binding. Why does your quilt get all wonky? 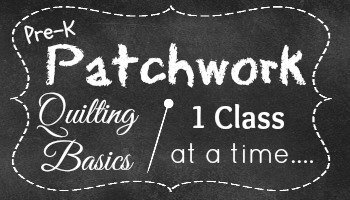 When we sew, fast or slow, we have a tendency to pull on the fabric. This will stretch it out just a little bit at a time- distorting it, but by the time you are finished these little stretches can add up to a big one collectively. Take that plus when it is machine quilted the stitches pull a little bit more. And them sometimes the border goes bonkers! Add that all up and you might end up with a quilt top that is doing the wave. Why do we need to block our quilts? When you attend a quilt show, you will find that a few of the quilts when hung will have a little wave in them –they weren’t ever blocked. 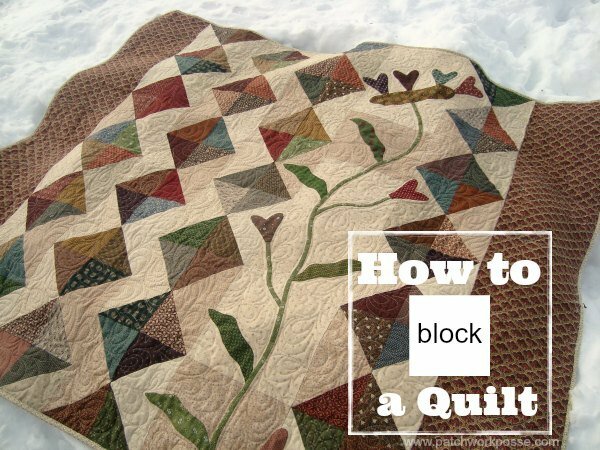 I would suggest that if you are intending for your beautufil quilt to hang for all to see that you take the time to block it out– so you can win a ribbon. Step 4) Wait until it dries before unpinning– You can trim it up if needed at this point while it’s all flat and nice. I for one have never done this. I am a pretty laid back quilter and I don’t recall my quilts being ready to be in a show. I am happy with them laying on my beds, or on display. I occassionaly pull one out and think- phew, that one should have been blocked…. but it doesn’t happen. Quilt Me Happy has a fantastic picture tutorial from start to finish on blocking your whole quilt. Check it out here. How about you- Do you square up your quilts?